Elegant mountain living and rustic privacy come together in a spectacular way with this gorgeous Breckenridge home for sale. Incredible mountain views are just outside the huge, dramatic windows designed to bring in plenty of natural light. Plus, this property is mere minutes away from downtown. That’s why it’s my choice for the featured Summit County MLS listing this month. Located on 2.27 acres and not crowded by any neighbors along the property line, you can enjoy peace and quiet indoors or out on the patio. The house itself is warm and inviting; constructed of handcrafted logs, Colorado rock and hammered copper. Just look at the photos to see the unique feel in every room of this home. It’s exquisite! With five bedrooms, seven-and-a-half baths and an outbuilding, you will never run out of space for the family, friends and anyone coming to visit you and the Rocky Mountains. Imagine all of the wonderful celebrations you’ll be able to host, inviting your nearest and dearest over to enjoy the comfort and tranquility this home has to offer. This is the type of home that will certainly be the site of many cherished memories for years to come. Special amenities include a deck, fireplace and even a jetted bathtub. This means you’ll have lots of opportunities to relax and remove yourself from everyday stresses. Living in this Summit County home is the very definition of luxury! Want More Info on this MLS Listing? As you can tell, this fantastic home in Breckenridge has many qualities that make it exceptional. However, it’s always best to experience a house like this in person. If you’d like to tour this gorgeous property and see its features firsthand, just let me know. I can arrange a visit right away. Give me a call and I’ll set up the perfect time for you to tour the property and take in the sights. 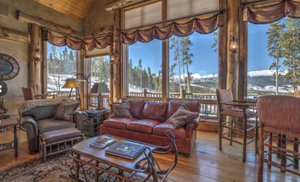 Also, if you want to see other properties in Breckenridge or throughout Summit County, I’m happy to put together some MLS properties that might meet your needs. You’re always welcome to look through the updated listings on my website to get started, and when you’re ready to discuss your options or prepare for showings, contact me at any time via email ([email protected]) or on my office line. I look forward to working with you to find your perfect home.